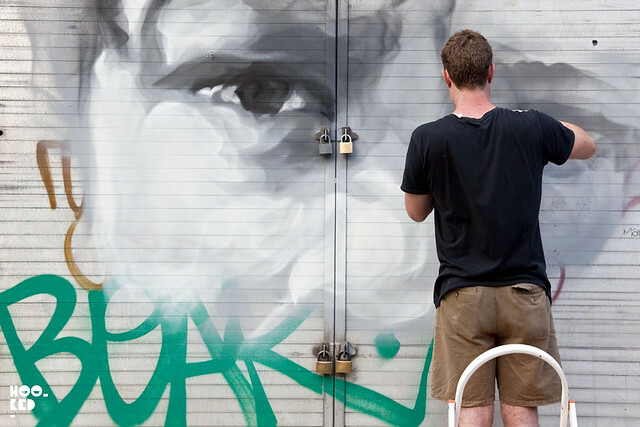 While we were out taking photos we met Australian painter and street artist Guido Van Helten. 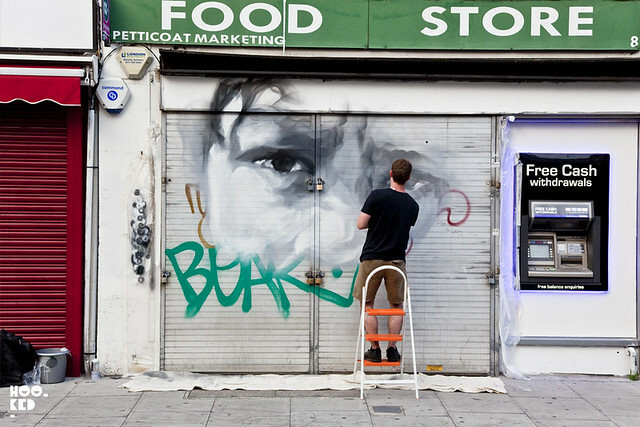 The Brisbane artist was at work on one of a number of shutters he plans to paint in his monochromatic style around Petticoat Lane in East London. 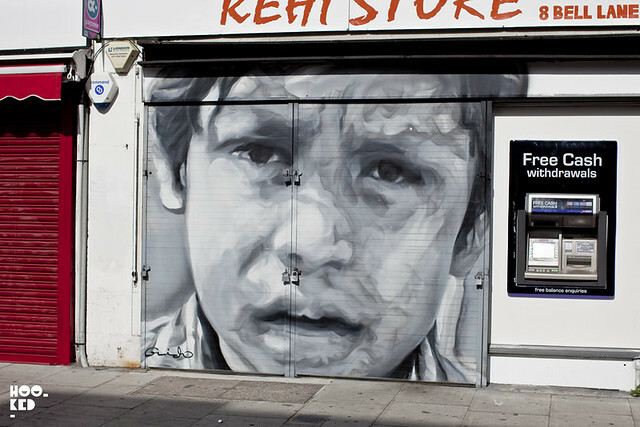 For this series of new shutters the first pictured here, Guido has collaborated with East End photographer Phil Maxwell who has been documenting the lives of working people in the East End for over thirty years. 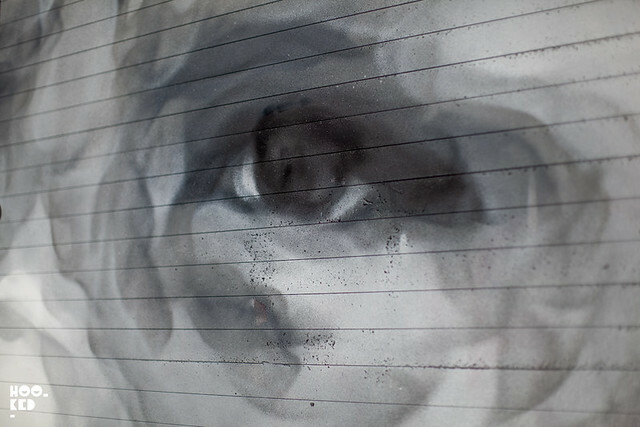 Guido has selected images from Maxwells archive which he plans to paint across a number of shutters in the area. The first finished shutter is located on Bell Lane. If you happen to be in the area be sure and have a look just around the corner on Wentworth St which now features a vast wall of life size images from Maxwells collection on the construction hoardings of a new housing development site . Pablo Picasso? As if you’re looking at a photo! Totally realistic! I'm sure no adobe Photoshop can edit a huge shutter photo like this and if there is it'll be no close to have this kind of result... Great job! Two thumbs up!